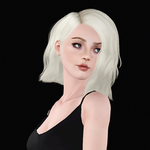 So I've been lurking around here for a week or two, after my daughter's discovery of the Sims led me to reinstall Sims 3, and fall into the pit of modding once more. 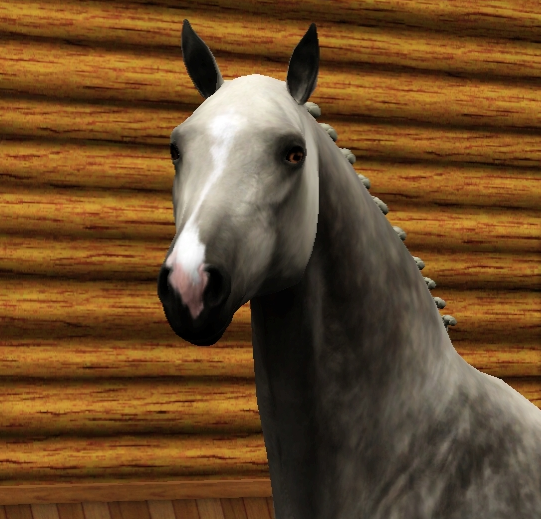 Since I am rather-horse addicted (though my actual equine experience is rather small), I have scoured the Sim-corners of the internet to sate my needs. I'm actually still in the process of building my stables, tentatively called Ashford Estate for now. My mains are Marianne Ashford (nee Westwood) and her husband, Lucien Ashford. Marianne is looking to create her own crossbreed, using Baroque breeds (with a dash of Irish Draught) and German warmbloods (with perhaps a dash or two of Throughbred blood). Right now, I'm looking for some worlds to start in, preferably playable ones with maybe a small town. In all honesty, I don't really know breeds or equestrian events outside of American Thoroughbred racing. I like to watch jumping events on TV when I get a chance, which in all honesty is not very often. My sister, bless her, trained and showed Arabians and Arabian crosses, usually in hunt-seat style. But even if I don't have a ton of personal experience with horses, I grew up listening to stories of my older family having equine adventures themselves, and horses are in our blood. I was put on a horse at a young age, though infrequently, and had some basic lessons as a troubled teen. Now, as an adult, the most I've done is groundwork helping my sister care for her horses before she went away. I don't know what I'm doing, but I'm ready and willing to learn, and I love horses. Thank you! I appreciate the links very much <3 We shall see what I can find that might suit my needs. As for a crossbreed, well, let's hope it works out. I just love sturdier types of horses. 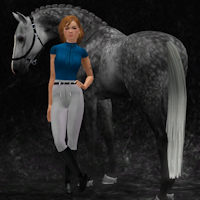 Welcome to Equus-Sims! I can't wait to see what you create, and I love the way you write. I'm still setting up shop, but found the magic of moveObjects and got super excited *_* I found a slightly modified version of Appaloosa Plains, but I'm still tinkering around -- there are sooo many pretty woulds out there, it's hard to choose. Thank you again for all the warm welcomes! Any sort of tips or tricks would be super helpful.